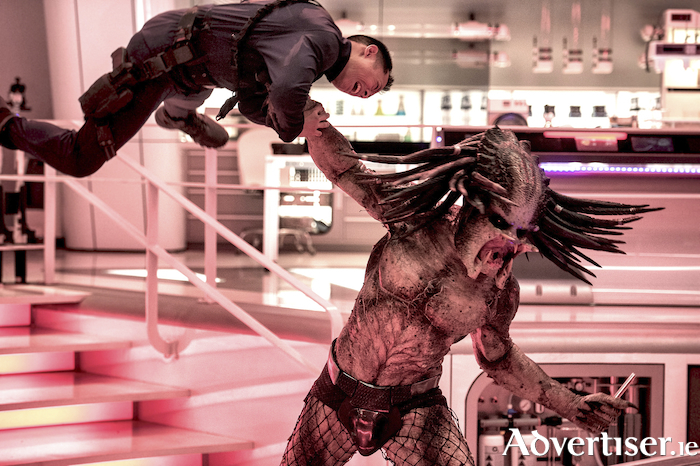 THE PREDATOR is back on our screens, and why not? Every other moderately successful film from the 1980s and 1990s is getting a sequel, prequel, or reboot. It was only a matter of time before it came to Predator. This film went into production four years ago and has suffered through lots of controversy already, having been marred by an incredible number of reshoots, and a frankly disturbing and utterly avoidable scandal which has left the film's lead actress doing the press tour for the film through gritted teeth. Writer/director Shane Black is at the helm here and he is a guy with a very interesting career. In the early 1990s he was the hottest writer in Hollywood, the first writer to sell a script for $1 million. Since then he has done little of note, apart from a few fun little thrillers like Kiss Kiss Bang Bang and he directed one of the Marvel movies. Is he then man then to bring Predator back to relevancy? The plot is fairly straightforward. In the original film it was explained that the predator only comes to our planet in extreme heat. Due to global warming the predator is coming back more often, and he is bringing many other the predators with him. When US army ranger Quinn McKenna kills a predator almost accidentally he strips it of his mask and gauntlet and ships it back to his autistic son in the USA. The predators are not happy to have lost their gear so send another predator to retrieve it. The original two films are so hilariously macho they play now more as parody than serious films, but are still (well the first one anyway ) really fun. It is a pity Shane Black did not take this opportunity to re-invent the hyper masculine 1980s action movie for a modern audience. What JJ Abrams did for Star Wars in The Force Awakens was a great example of what I hoped would happen here. Instead Black has made a new Predator film with more of the same. It is profane and violent but with no charm or even much excitement. Compared to the other big action movies this summer - Mission Impossible and Avengers - and it’s actually quite boring. An unforgivable sin for a film in this genre. Not as funny as it thinks it is and certainly not as cool as it thinks it is, this is a missed opportunity with one of the stodgiest final scenes in any movie I have ever seen.